George Gatt was 77. Screen shot from One News. 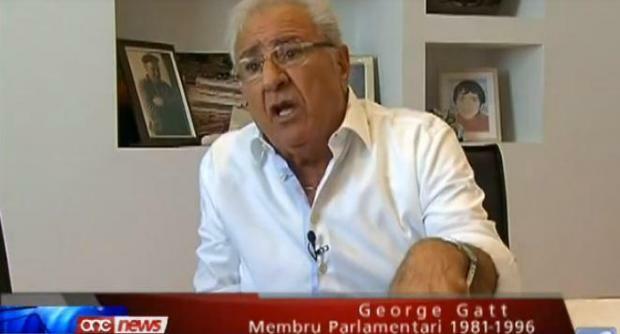 Former Labour Party MP George Gatt has passed away. He was 77 years old. He served as an MP between 1981 and 1996. In a statement, the PL said Mr Gatt had given an important contribution to the party and country, focusing especially on workers' rights. Specialising in the construction and manufacturing sectors, Mr Gatt had also served on a number of public boards under different prime ministers. He was also involved in a number of cultural and sport initiatives.